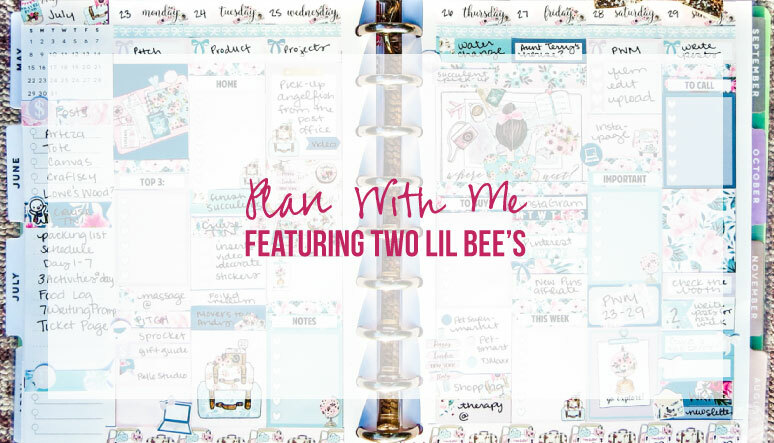 Plan With Me Featuring Two Lil Bee's - Happily Ever After, Etc. 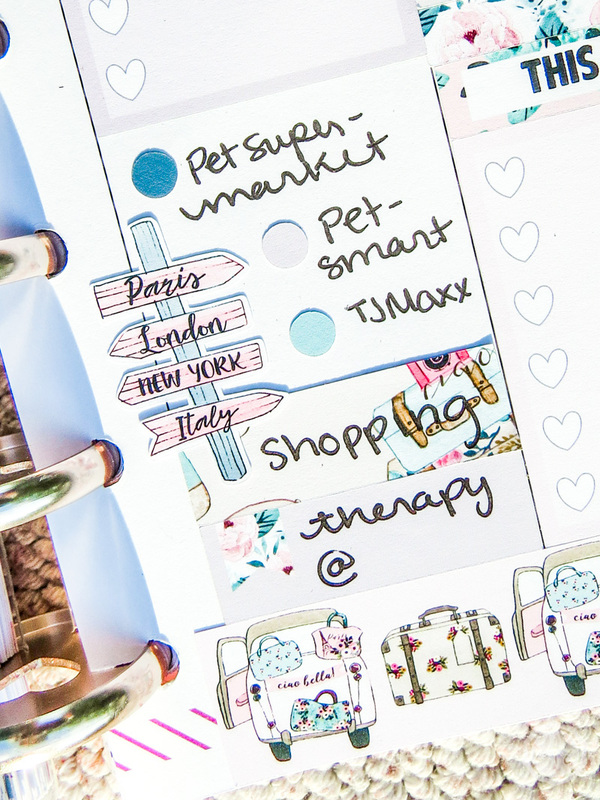 After coming back from vacation this week’s plan with me is all about organizing my giant to-do list into manageable chunks. 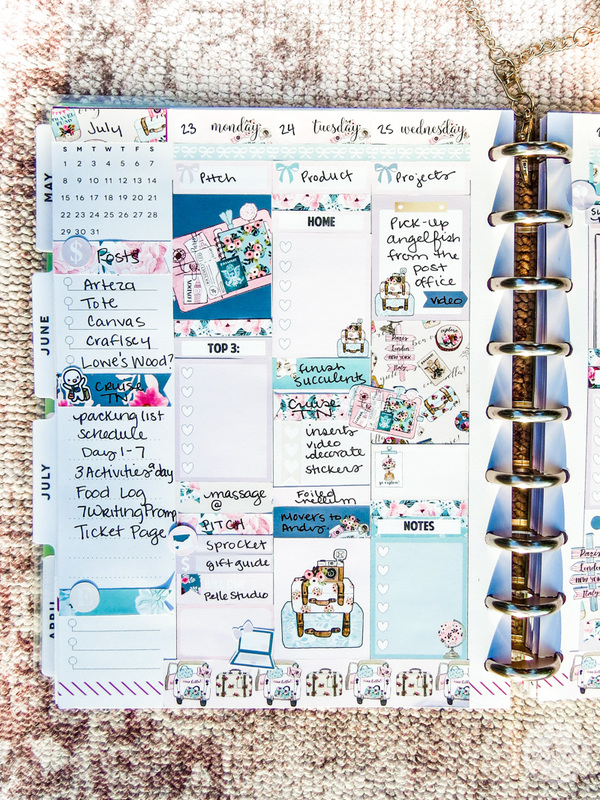 It’s time to get some serious work done y’all… which means my planner spread for the week needs to have a bit of serious organization. 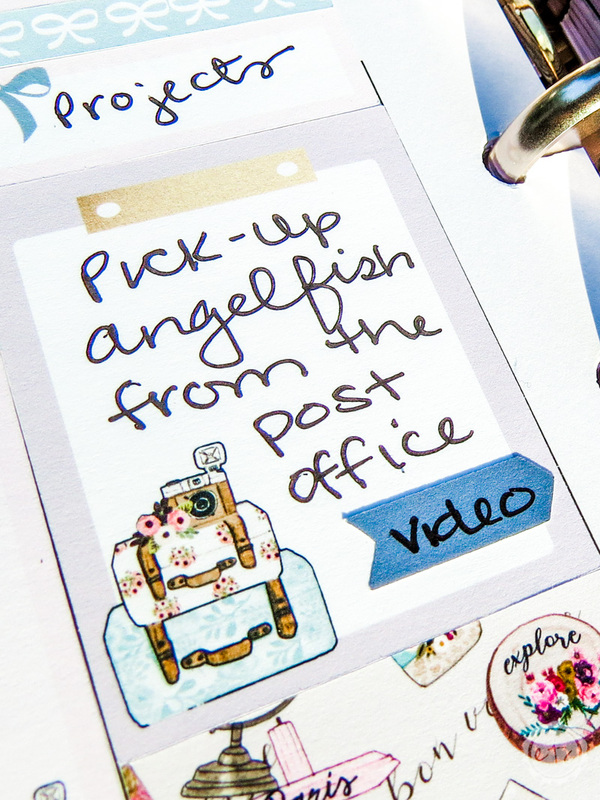 I picked a fun little kit from my favorite shop (Two Lil Bees)… it’s technically a travel kit but I just love the flat lay of that little girl working at her desk! Since I am trying out a new strategy this week of making each day on a specific task (Monday: pitches, Tuesday: products, Wednesday: projects… ) I laid out headers for each day and made sure to place blank full boxes on the days where specific lists were needed. 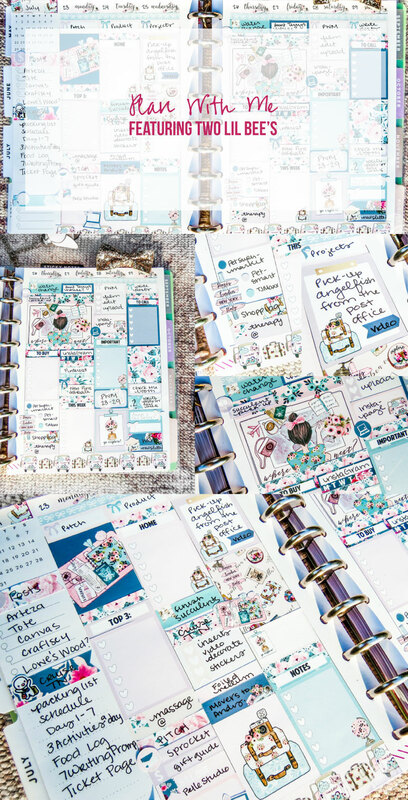 While I love to decorate my week with pretty sticker kits it’s very important to me that I actually use my planner functionally… I have things to do and places to go. 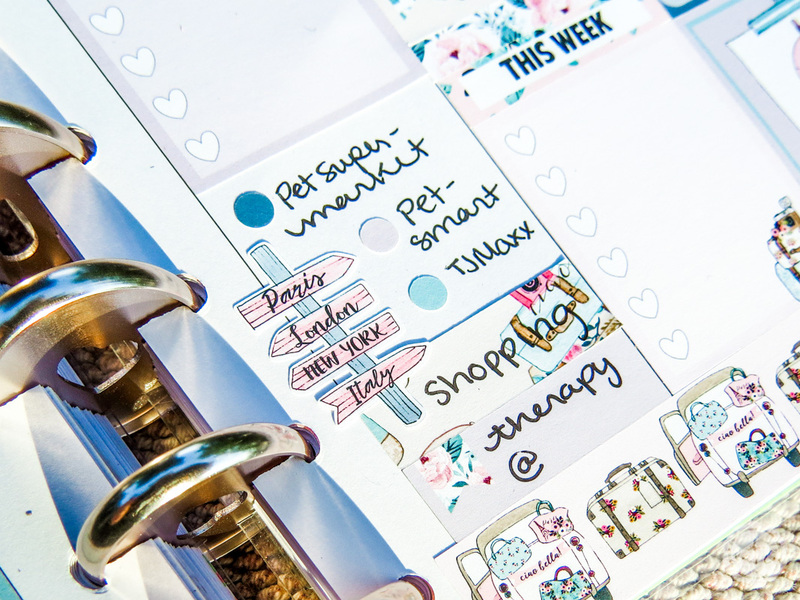 Which means my planner needs to work just as hard as I do! Of course, my absolute favorite part of the Two Lil Bees kits is how. many. stickers. there. are! 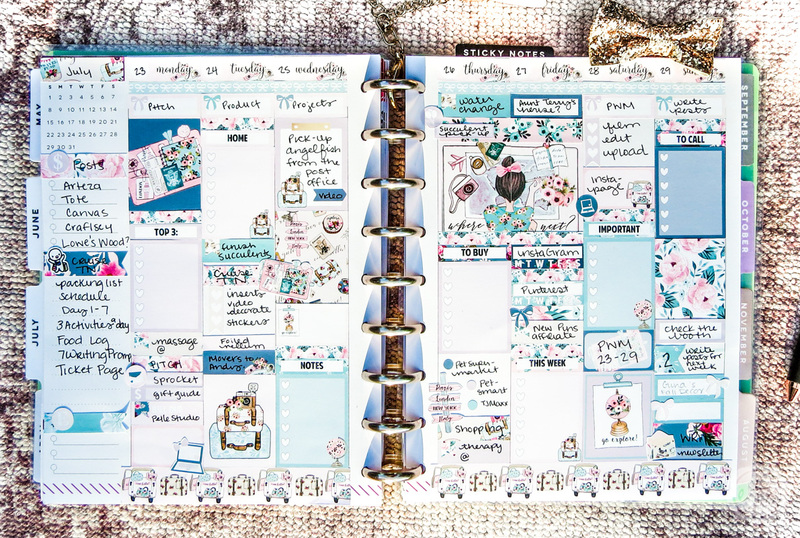 This spread is completely full (it’s almost completely no white space!) 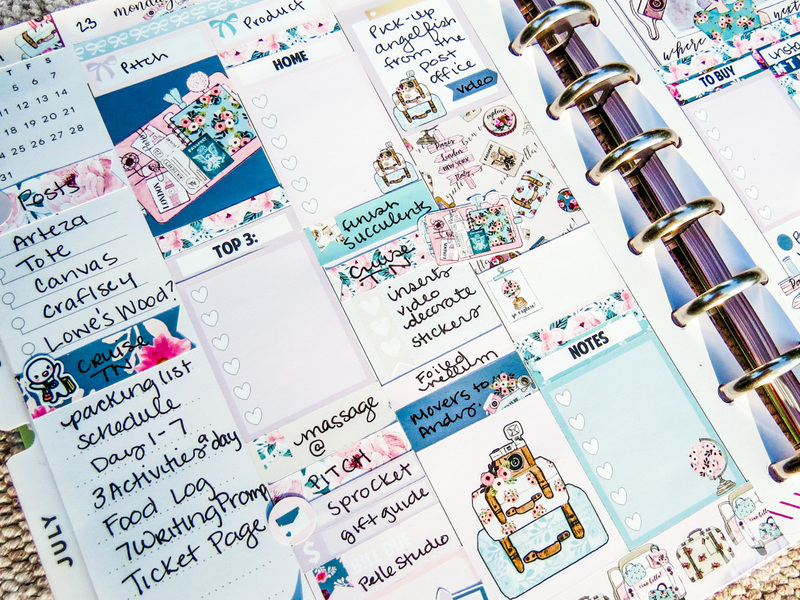 yet I still have enough stickers to do a complete second spread. If you are looking for the biggest bang for your buck this kit is ridiculous! 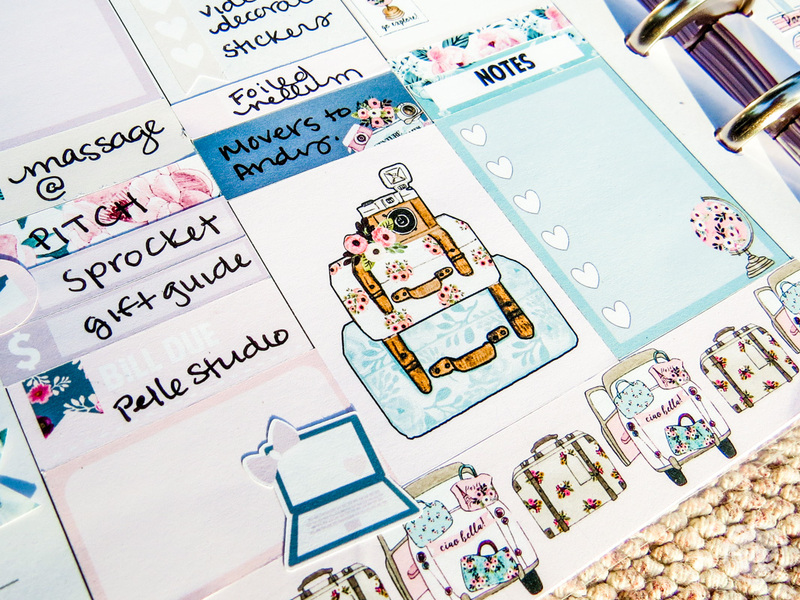 I absolutely love all the deco as well… it’s so easy to use it in a million different ways. The little street sign sticker is perfect for a list of stores I need to hit on Thursday. 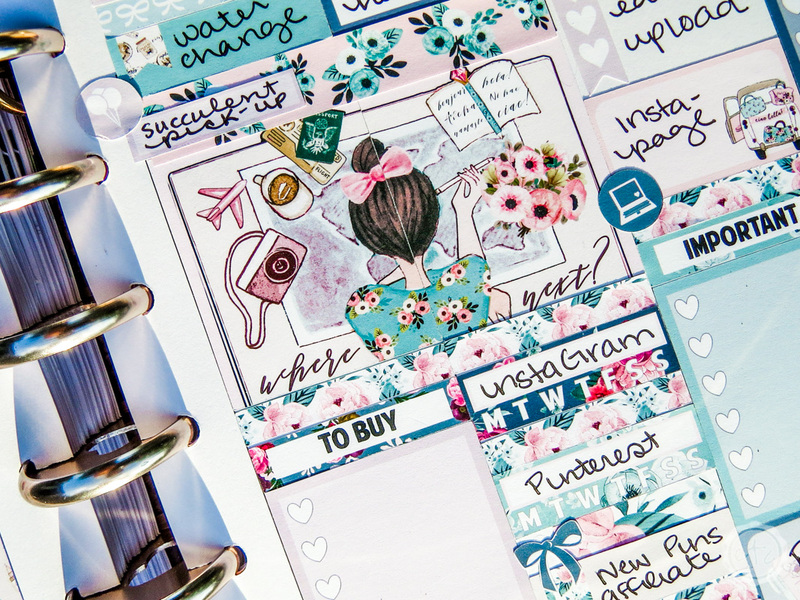 I did grab the washi sheet to go with the kit and it was perfect for my sidebar as well as filling in a little bit of space above the double box. I love how it coordinates perfectly with the kit and gives you so many more options. 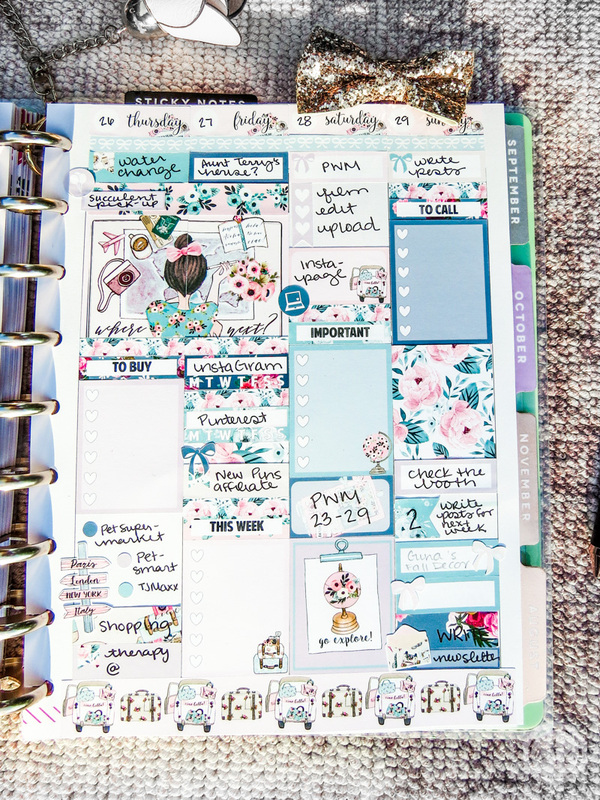 Since the kit also has little blue bow headers and pretty floral headers you really don’t need the washi but it’s wonderful if you have a planner like mine with weird patterns to cover. On a completely new note I had a fun pick-up on Wednesday when I went to the post office to get my new angelfish! I ordered 4 little fish from Angelmania and I actually ended up with 9 little angels. They are so pretty… I’m kind of in love! I can’t wait until they grow up a bit and develop their colors. They’re still basically white without a lot of color but hopefully they will grow up to be blue and beautiful.